Directed and produced by Liz Garbus and produced by actor Steve Buscemi (Emmy® nominee for HBO’s “Boardwalk Empire”), A GOOD JOB: STORIES OF THE FDNY explores life in one of the most demanding and innovative fire departments in the world. 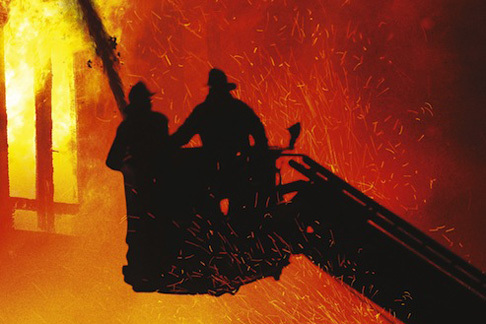 Featuring first-hand accounts of veteran firefighters and former FDNY member Buscemi, the film reveals what it feels like to fight fire in New York City. Spotlighting the immense mental and physical toll of firefighting, as well as the community borne out of sharing an incredible responsibility, A GOOD JOB goes inside the New York City Fire Department to illuminate the lives of heroes who put themselves at risk to serve the city. Through behind-the-scenes footage and interviews conducted by Buscemi, the film tells stories of the men and women of the FDNY while drawing on candid photos and rare video from the last five decades. Ultimately, A GOOD JOB is about camaraderie and the bonds formed around firehouse kitchen tables, the cumulative effect of trauma, both physical and mental, and the stories – the good, the bad and the exciting. A GOOD JOB: STORIES OF THE FDNY premieres on Monday, September 8, 2014 exclusively on HBO.